The Heroes Pop Swap is back! Join us Saturday, October 26th 10AM-4PM at our store. 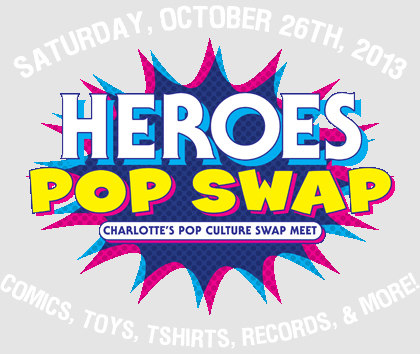 Whether you have things to sell, are shopping for treasure, or you just want to give your Halloween costume a test run, the Pop Swap is sure to be a great place for it! ← FLORENCE COMIC CON :: SEPTEMBER 15TH!